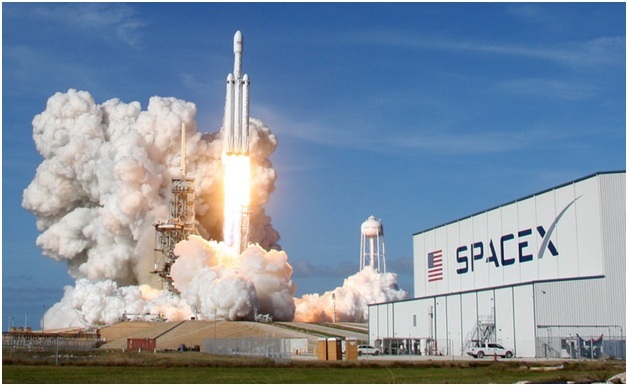 ﻿ SpaceX's Falcon Heavy rocket launches on first commercial flight. SpaceX's Falcon Heavy rocket launches on first commercial flight. The massive booster carried a Saudi telecommunications s A SpaceX Falcon Heavy rocket, carrying the Arabsat 6A communications satellite, lifts off from the Kennedy Space Center in Cape Canaveral, Florida, on April 11, 2019.